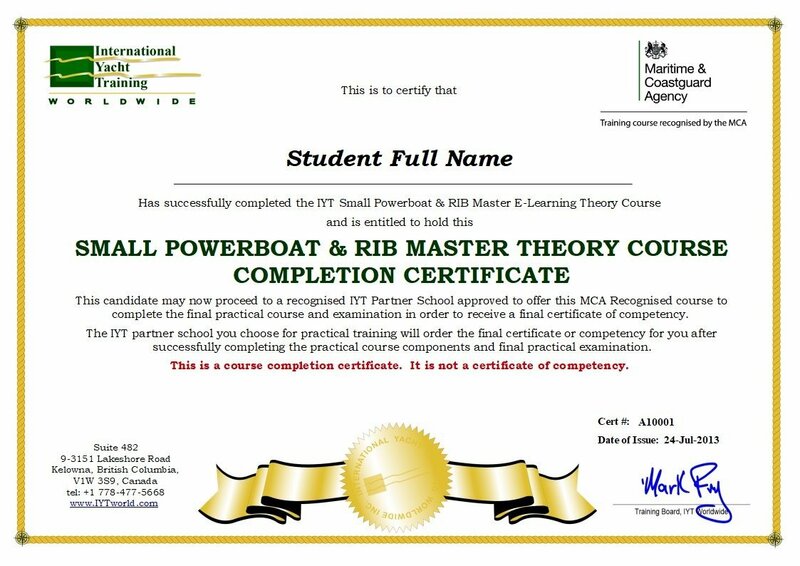 The IYT Small Powerboat & RIB Master and 10M ICC Power Elearning Courses are now available FREE of CHARGE! If a candidate completes the online theory course and wishes to purchase access to the final theory examination, which upon successful completion produces a PDF theory course completion certificate, they must pay a fee and proceed to an IYT partner school for the final practical training and exam. This follows the same process as the existing ICC courses. Students who complete the online theory course will be better prepared to enjoy their practical training. To take this online preparation course please click here.